You’ve heard that before with the name Endy Chavez. On October 19, 2006, the New York Mets outfielder made one of the most spectacular catches ever seen, robbing a Scott Rolen home run over the left field fence at Shea Stadium in Game 7 of the NLCS. Chavez’s play, despite in a losing effort, has become an iconic moment to Mets fans everywhere and has gone down as one of the greatest postseason defensive plays in Major League Baseball history. Chavez was coming off back-to-back seasons hitting over .340 with the Pericos de Puebla in the Mexican League (2017) and the Bridgeport Bluefish in the Atlantic League (2016). 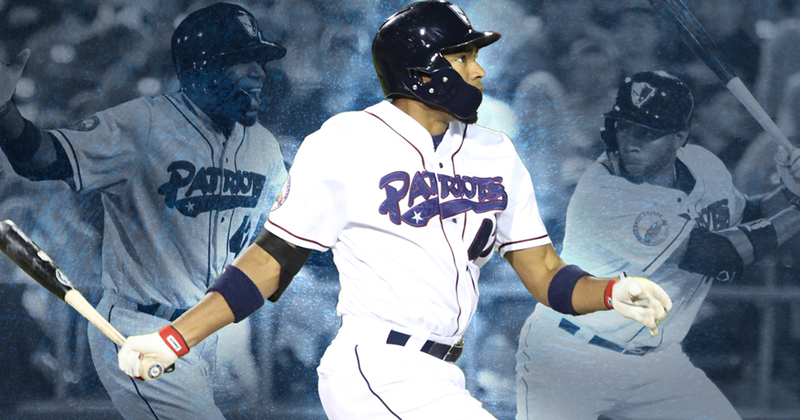 In his lone season in Bridgeport, Chavez’s .345 batting average led the league. Though he struggled early in the 2018 season for Somerset, the Venezuelan native had a few notable highlights, including the lone grand slam for the team on June 18th at Lancaster. He began to hit his stride in July, where he posted a .279 average and plated 11 RBI. He followed up the month by leading the team with a .311 average and 28 hits for August. In nine September games, Chavez hit an impressive .424. He finished the regular season with a .287 average, 29 runs scored, 100 hits, nine doubles, two home runs and 41 RBI. Chavez saved some of his heroics for a time he has shined before- the playoffs. In the four games of the 2018 LDCS, the former Big Leaguer hit .294 with five hits, a double, a home run, and a team-high seven RBI. His three-run double in Game 3 broke the game open and helped lead Somerset to an 8-4 win. Chavez then homered the next night in a clutch 5-3 win that forced a decisive Game 5 in the series. Including the playoffs, Chavez had a stretch where he reached base safely in 44 of his last 49 games. During that time, he hit .337 with 18 multi-hit games. At the age of 40, Chavez has shown no signs of slowing down in a 21-year career that saw 13 seasons of service in the big leagues, most notably with the Mets from 2006-2008. Chavez owns a .270 career average with 30 home runs, 266 RBI and 106 stolen bases over 13 MLB seasons. He also has a .290 overall average for his entire professional career. He is currently playing winter ball in the Venezuelan League, where once again, Chavez made a remarkable catch reminiscent of the one he made over 12 years ago in Queens. The ageless wonder’s love of the game has never diminished and fans have been lucky to “catch” him throughout his wonderful professional career.